It's no secret that I am a bit of a fitness nut. Aside from a daily yoga practice, I've been very vocal about my gym workouts in our weekly Workout Wednesday series. As most of you guys know, I workout frequently (probably five to six times per week), and I don't know about you but as a result, so many of my shirts get armpit stains. I don't think it's actually from the sweat so much as it is from the deodorant, but whatever the reasoning, it's there and I hate it! In fact, after years of trying all sorts of different things, I just started throwing them out or cutting off the sleeves and making them muscle tanks. 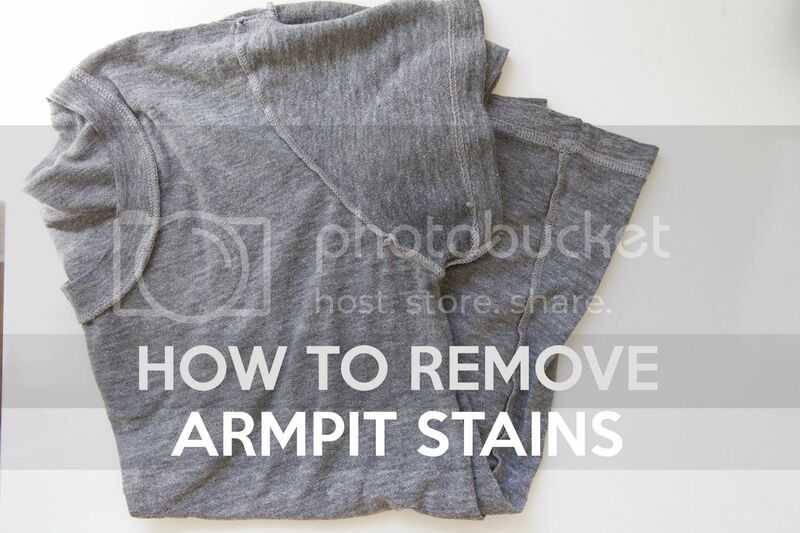 But recently, I discovered an easy trick to get rid of armpit stains, even if your shirt has been washed a number of times since the stain (and it still won't come out). 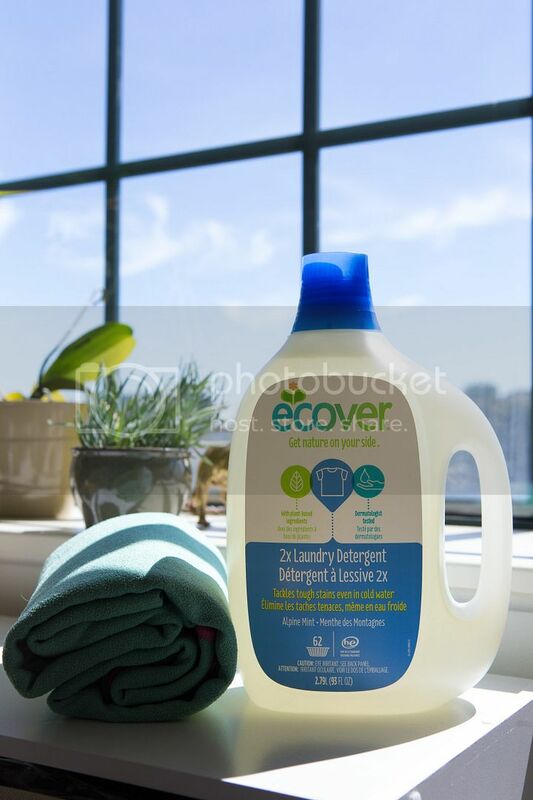 So when ecover reached out to collaborate with their 2x Concentrated Laundry Detergent, it was a no brainer because their products are non-toxic, made with naturally derived ingredients, and are people, pet and plant friendly. I love that their concentrated liquid laundry detergent is tough on strains even in cold water, which means that you can use less energy for every load. I'm also a big fan of the company because everything they do is simple, health-focused, thoughtfully made (their plastic packaging is made from sugarcane, and their formula is biodegradable! ), and they're down to earth and authentic. When they approached me with ways to collaborate, I thought that I'd share my go-to armpit stain removal trick because I know so many of you are fellow gym rats, or are big fans of hot yoga and likely deal with sweat stains, too. Ugh, ok. So here is my shirt. This one has been washed a number of times but no matter how many times I washed it, nor how many different detergents I used, I wasn't able to get the armpit stains out. Until now! 1) Baking soda - Mine is from my local Whole Foods, but any baking soda should do just fine. 2) Hydrogen peroxide - Mine is from my local pharmacy, but any hydrogen peroxide should suffice. 3) ecover 2x Concentrated Laundry Detergent - This was sent to me by ecover as part of the partnership. Once you have your ingredients for the stain removal and your dirty shirt, you just have to follow six steps. The following recipe is for two small armpit stains. If your stains are bigger, you'll need to adjust the ingredient amount accordingly. Step 1) Put 1 tablespoon of baking soda in your mixing bowl. Step 2) Put 3 tablespoons of hydrogen peroxide in your mixing bowl. 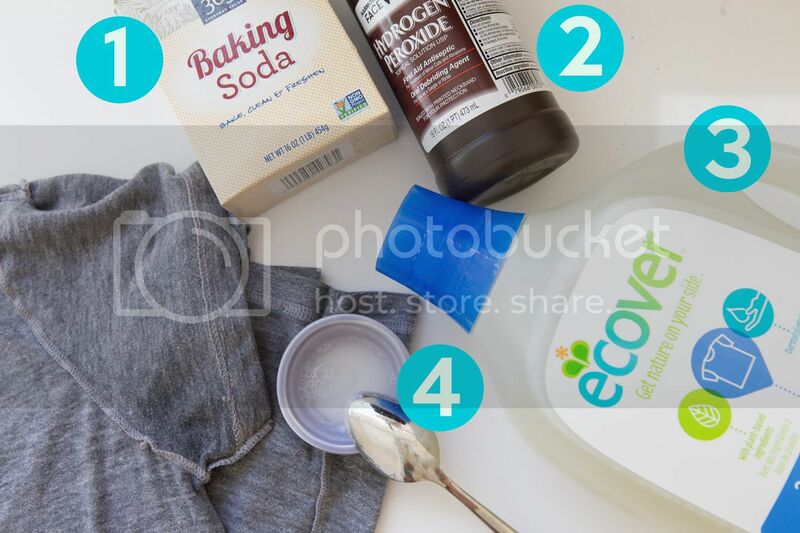 Step 3) Put 1 teaspoon of ecover 2x Concentrated Laundry Detergent in your mixing bowl. Step 4) Mix everything thoroughly together. 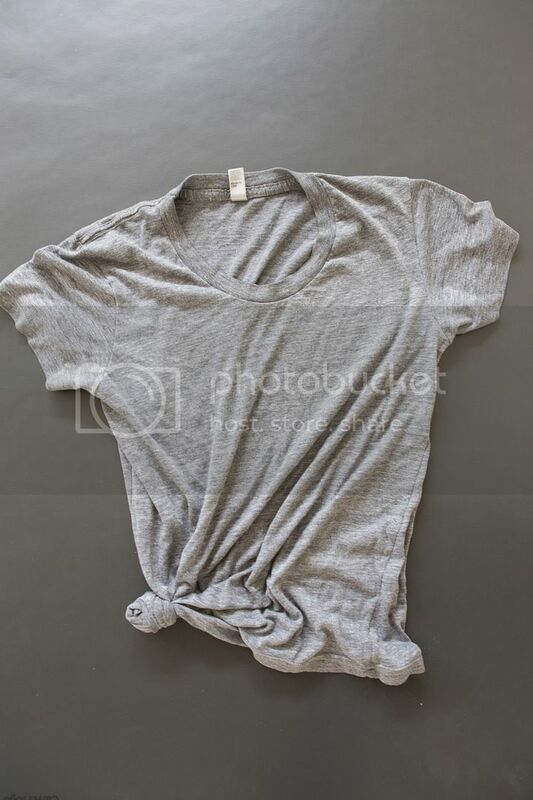 Step 5) Turn your stained shirt inside out, and put the mixture evenly on both armpit stains and let it sit for an hour. Step 6) Wash the shirt normally in the washing machine, and voila! You'll have a fresh, stain-free shirt when you're finished. This is my shirt with the mixture on it. I always just let it sit and soak in for an hour. And here's my shirt after I ran it through the washing machine and dryer! No stains whatsoever and it's ready to rock and roll. I'd love to know any laundry hacks you have - especially if they're for activewear! Check out ecover Laundry Detergent and shop now. Learn more here.